And all the boda­cious snow! And all those killer hills! This is some really inter­est­ing ter­ri­tory we head­ing into! Cheers guys! 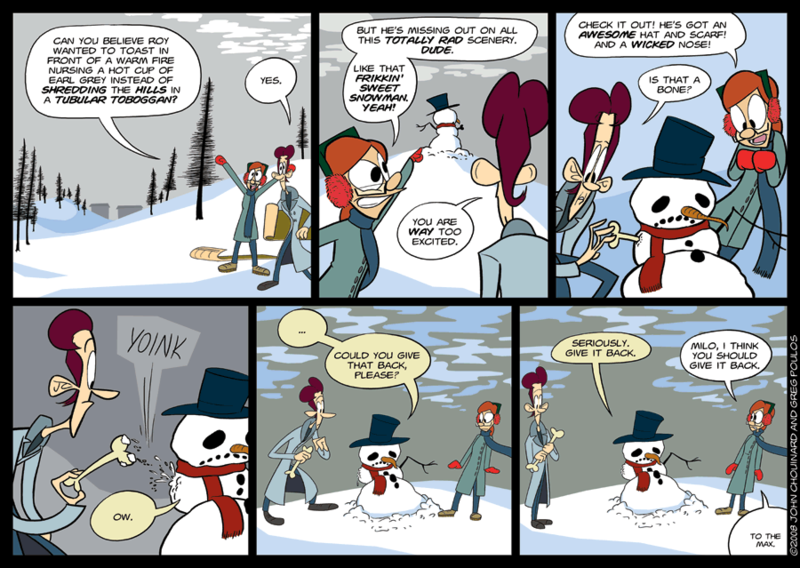 Undead snow­men? I am intrigued! Of course, they may not be dead at all. It just had a bone for an arm is all. I want the story line back! So what if the semes­ter is ending – you can't slack off! Orceiacum: You're not too far off the mark, but… well, you'll see soon enough. Brad: It's not the main sto­ry­line, but you'll find that it's not entirely irrel­e­vant, either. Never fear! Things will get back on track before long.